Born from three, previously separate kung fu styles, Choy Lee Fut was forged amidst fire, smoke, and revolution. Our founder, Chan Heung, devoted his life to the study of the fighting arts. 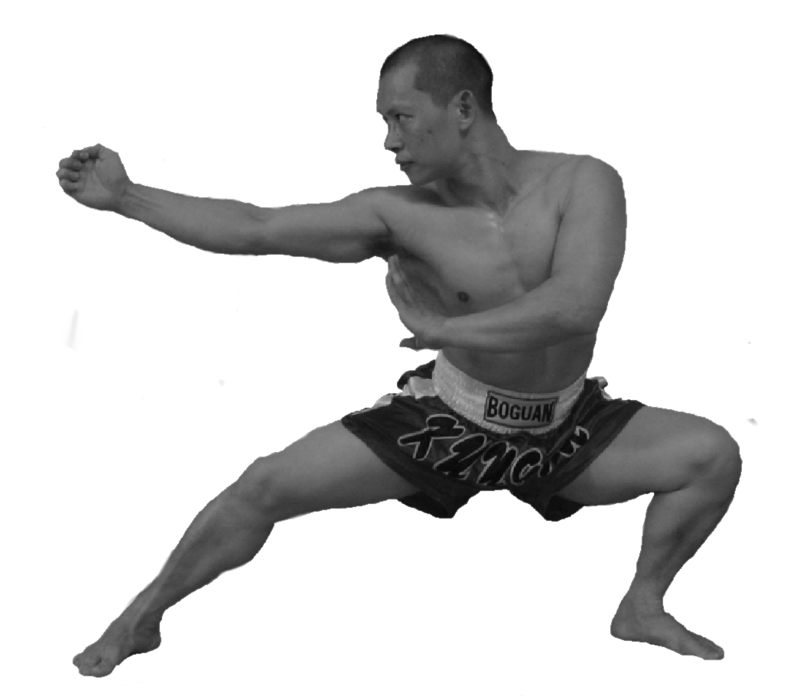 He trained under three masters: fighting monk Choy Fook, whose head famously bore scars from his revolutionary past; Lee Yau-san, a master of the local Lee style kung fu; and his uncle Chan Yuen-woo, adept in Fut Gar, or Buddha-style kung fu. To pay homage to his three teachers, Chan Heung named his fledgling art Choy Lee Fut. Yet his hopes for a peaceful life of teaching kung fu was soon shattered by the geopolitical reality: hampered by corruption and complacency, China was defeated by Britain in the Opium War. Driven by patriotism, Chan and his students became rebels, fighting under the banners of various secret societies to overthrow the brutal ruling dynasty of China. When their movement was defeated, the practitioners of Choy Lee Fut scattered to shores distant and close, making their way to Hong Kong, Singapore, Malaysia, and even America. Chan Heung himself traveled far and wide, picking up techniques from a number of different styles and adding it to his repertoire. Upon his return to his home village in 1867, Chan re-established his school, and cementing Choy Lee Fut’s position in both Chinese history and throughout the Chinese diaspora. Today, Choy Lee Fut is present on six continents, in countries as diverse as Chile and Poland. At the Xinhui Ancestral Choy Lee Fut Association, we honor Chan Heung’s legacy and the history of his art. We teach kung fu forms, authentic lion dancing, and effective fighting applications. Essentially, we teach traditional kung fu with modern methods. Contact us to find out more. A native of Xinhui City, China, Sifu Zenyum Wong is the head instructor for the Xinhui Ancestral Choy Lee Fut Association of Brooklyn, New York. From a young age, Sifu Wong knew that he loved the martial arts. He began his training under Wong Gong Chuen (no relation), a master of Hung Gar Kung Fu, a powerful, renowned school of Chinese martial arts. After several years, Sifu Wong transferred to Chan Jong Geet, a Choy Lee Fut master directly descended from Chan Heung, the style’s founder. Grandmaster Chan worked as a police officer in Xinhui City, where his kung fu came in handy on more than one occasion. By the time he was in college, Sifu Wong had competed in a number of tournaments, in both forms and free-fighting (Sanshou). Today, Sifu Wong is based in Brooklyn, New York, and offers traditional Choy Lee Fut Kung Fu. His curriculum includes authentic lion dance, kung fu forms, fighting applications, and qigong for health. Contact us today to schedule your free class. Lion dance is an essential part of Chinese and Choy Lee Fut culture. Lion dance is often used for blessings at events such as weddings, grand openings, birthdays, and holidays. Our school focuses on teaching Fut San traditional style lion dance. Sifu Huang himself is well versed in the art of lion dance and our sister school in Xin Hui is currently one of the best teams in the Canton province. Lion dance instruction is available for both adults and children alike.